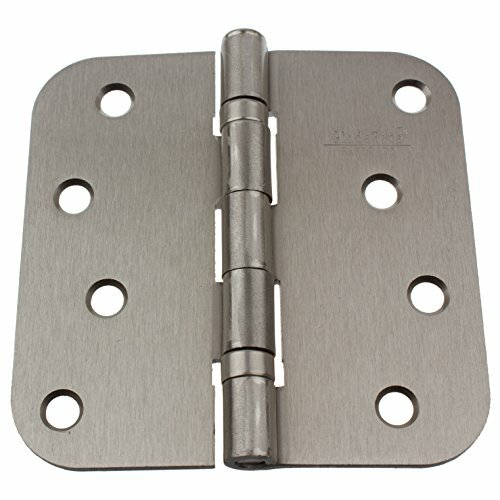 GlideRite Hardware brand interior residential steel full Mortise ball bearing door hinges. Size 4-inch x 4-inch with 5/8-Inch radius corners. Please see image for radius sizes. Fully assembled hinges with matching installation screws. GlideRite Hardware brand interior residential steel full Mortise ball bearing door hinges. Size 4-inch x 4-inch with 1/4-inch radius corners. Please see image for radius sizes. Fully assembled hinges with matching installation screws. 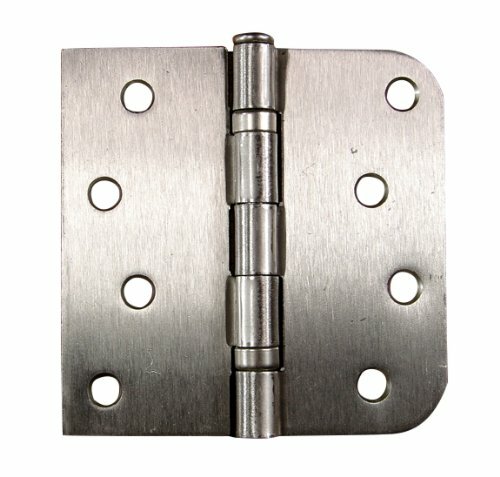 Hager Steel Ball Bearing Hinge features smooth operation ball bearings for medium to heavy weight doors. 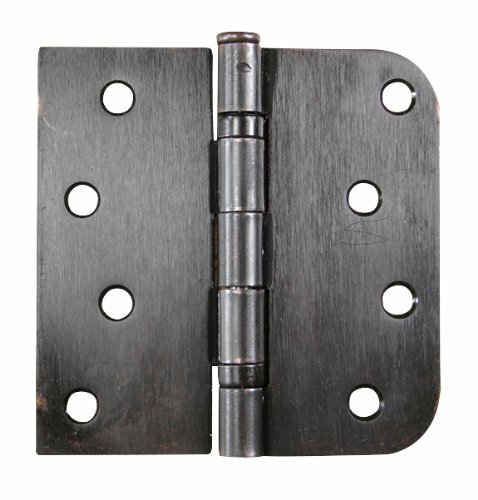 Constructed in steel and finished in Oil-Rubbed Bronze, this heavy duty full mortise hinge can be used for standard and heavy weight commercial applications. High Quality Pair of Stainless Steel Plated 4 x 4 in Square with 5/8 in radius corner. 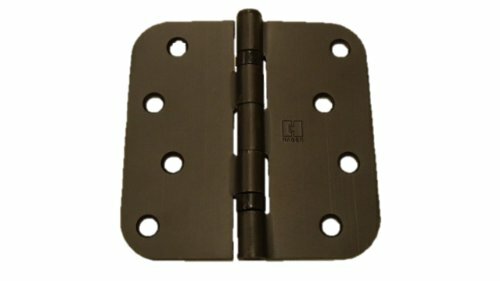 Residential Ball Bearing Hinges Oil Rubbed Bronze Includes matching screws, 4 Holes in zig-zag pattern, gauge .097" (2.5 MM). Typical use: 1 5/8" to 1 3/4" thick doors. Ball Bearing hinges provide smoother operation, prevents squeaking noises, reduces metal to metal friction providing a longer life. High Quality Pair of Stainless Steel Plated 4 x 4 in with 1/4 in radius. Residential Ball Bearing Hinges Oil Rubbed Bronze. Includes matching screws, 4 Holes in zig-zag pattern, gauge .097" (2.5 MM). Typical use: 1 5/8" to 1 3/4" thick doors. Ball Bearing hinges provide smoother operation, prevents squeaking noises, reduces metal to metal friction providing a longer life. 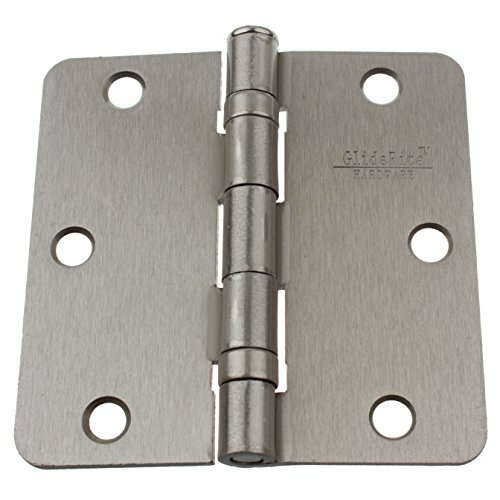 GlideRite Hardware brand interior residential steel full Mortise ball bearing door hinges. Size 3-1/2-inch x 3-1/2-inch with 1/4-inch radius corners. Please see image for radius sizes. Fully assembled hinges with matching installation screws. GlideRite Hardware brand interior residential steel full Mortise ball bearing door hinges. Size 3-1/2-inch x 3-1/2-inch with 5/8-Inch radius corners. Please see image for radius sizes. Fully assembled hinges with matching installation screws. High Quality Pair of Stainless Steel Plated 4 x 4 in Square with 5/8 in radius corner. 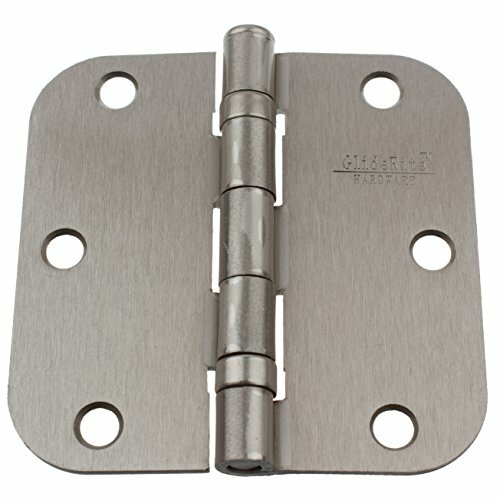 Residential Ball Bearing Hinges Satin Nickel Includes matching screws, 4 Holes in zig-zag pattern, gauge .097" (2.5 MM). Typical use: 1 5/8" to 1 3/4" thick doors. 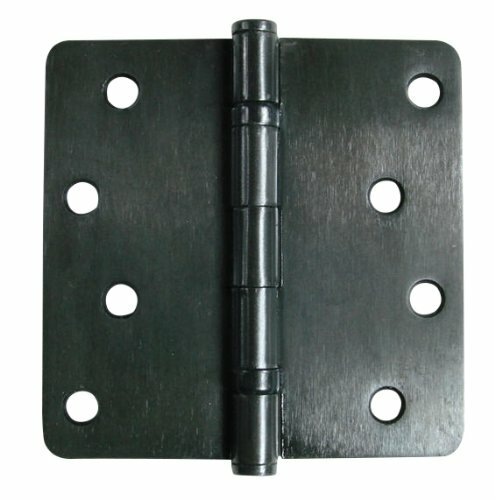 Ball Bearing hinges provide smoother operation, prevents squeaking noises, reduces metal to metal friction providing a longer life. 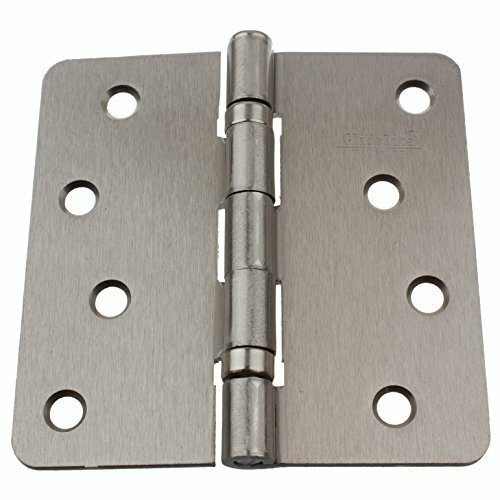 Pack of 12 - GlideRite Hardware brand interior residential steel full mortise ball bearing door hinges. Size 3-1/2-inch x 3-1/2-inch with 5/8-inch radius corners. Please see image for radius sizes. Fully assembled hinges with matching installation screws. GlideRite Hardware products are sold exclusively by Integrity Worldwide on Amazon. Any other company selling this product on Amazon is not selling genuine GlideRite Hardware products and as such would not be covered by our limited lifetime warranty. Looking for more Radius Corner Ball Bearing similar ideas? Try to explore these searches: Men Alcohol, Gilmour Hose Cap, and Kansas City Royals Clothes. Look at latest related video about Radius Corner Ball Bearing. Shopwizion.com is the smartest way for online shopping: compare prices of leading online shops for best deals around the web. Don't miss TOP Radius Corner Ball Bearing deals, updated daily.